Some displays can be a bit ho-hum. After awhile its like we’ve all seen it before. 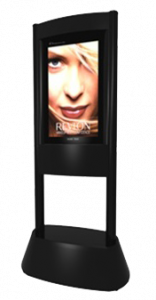 In today’s digital age, a great way to get attention is to add technology to your displays. Customers enjoy the hi-def graphics and images they can produce. 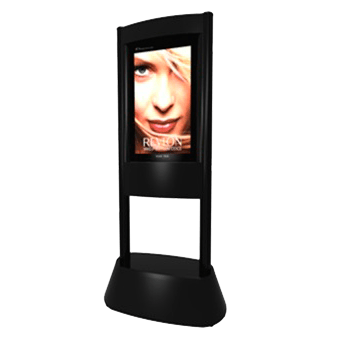 There are a few reasons a company should consider adding DIGITAL Banner Stands to their next display. Show you are up-to-date and on the cutting edge. No matter what industry you are in, its important for your display to represent your company, products and services in the best way. Every company today wants to show they are adept with technology, with a website, social media and using the latest technology. Adding a hi-def banner stand is another way to remind your customers that your company is tech-friendly, and best of all this will work for any industry. A picture is worth a thousand words. We are a visual society and most of us pay more attention to the images we see related to advertising and promotion than we truly realize. With hi-def, that image/photo is shown to the best of its ability. You can even show a variety of images to entertain and keep your audience captivated with a fun presentation at your display booth. “Just right” size matters when it comes to displays. 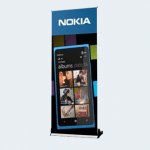 The DIGITAL Banner Stand comes in a size you’ll love to set up. At 74” inches tall and 36” inches wide, it only weighs about 100lbs. A hi tech heavyweight that is a logistical lightweight you can easily set up just about anywhere you go. It makes that first day at your booth so much easier, especially if you have to “nudge” the stand into a different location. Its something one able bodied person – or two – can do with confidence, even if they are dressed in business suits and conference badges! Its budget friendly & adaptable. This is one of the top reasons to choose this technology. Not only can you use this banner stand for this upcoming trade show, but you can create new presentations for trade shows for the coming years! This is not a single solution product, you can keep adapting it to your needs. The stand is large enough to get attention at about 6 1/12 feet tall and 3 feet wide, but also small enough you can consider it for smaller events, not only larger trade shows. 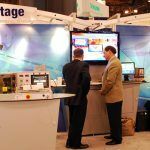 Just another reason to go hi tech for your next trade show!